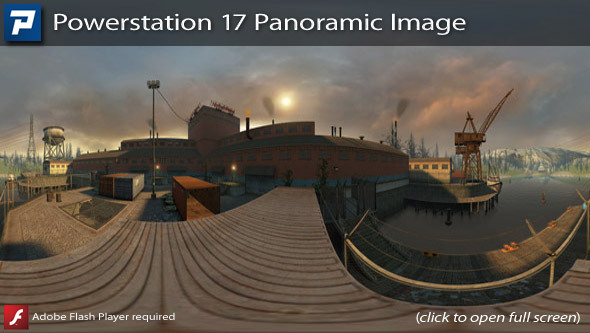 Copy the Powerstation17 folder into your SourceMods folder. Powerstation 17 should now be listed in your Library tab. Once the panoramic image is open: With your cursor on the image, press and hold your left mouse button and move around the image. Use your mouse wheel to scroll in and out of the panoramic. The playthrough below is part of the Source of Fame Event, run by Dan Jordan AKA The Rabbit. I played this back in June when it was 95% finished and I wish I had written my review then! Every now and again there seems to be released very professional mods made by one, maybe two people. Union, Rock24 and Riot Act spring to mind. There are others, of course, but I mentioned these because they are shorter and more“tight”. 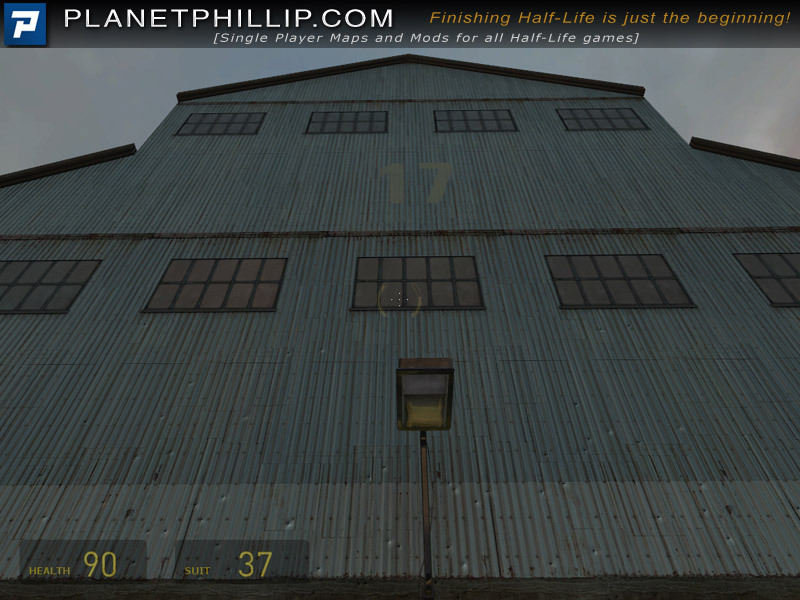 Powerstation 17 is another one of these types of mods. The author had a very clear vision of what he wnated, kept control over impulses to make the mod too bigger and focused on quality. I wish more modders would do that. The mod itself is a nice balance between indoors and outdoors, action and exploration, beauty and objective. It’s clear it has been significantly beta tested because each area seems maximized. If I had to find one thing I didn’t like about the mod I would say the end. The version I played faded out after destroying the Combine Gunship, and whilst I can see it would be difficult to decide what happens next, just fading away left me feeling slightly cheated. Anyway, it’s easy to criticize and it’s only one very minor niggle. I will be quite surprised if you play this and don’t like it. Just remember it’s not a long mod, about 20 minutes playtime. 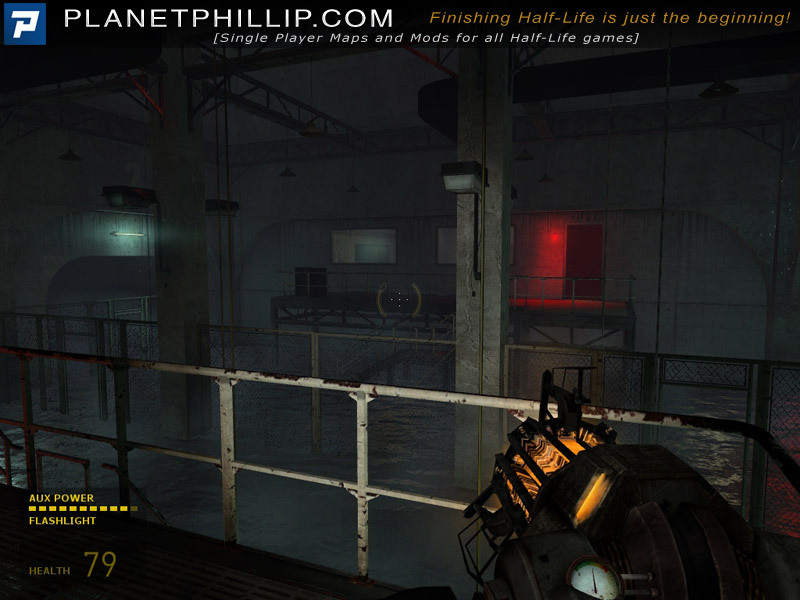 I sure hope Jason decides to make more HL2 SP mods. This is what I was talking about in Poll Question 091. 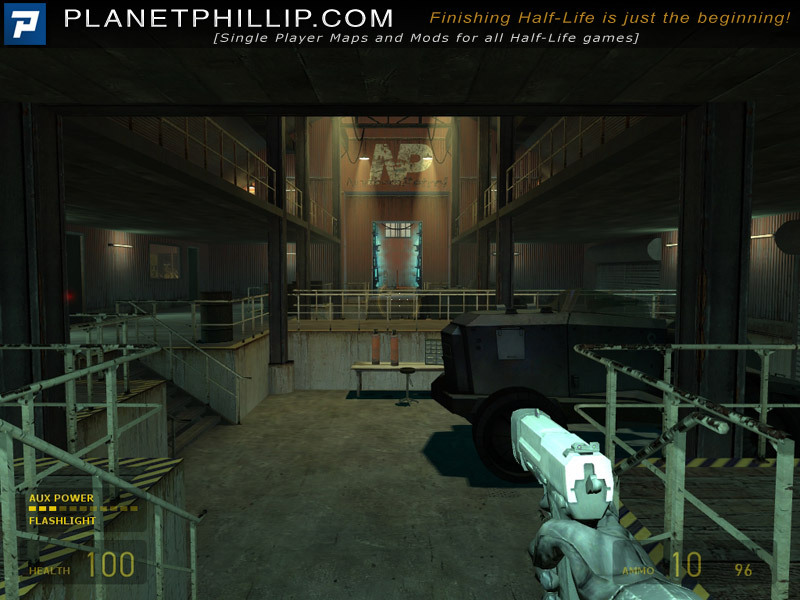 These screenshots show a lot of dedication from the mapper to make everything look good with superb lighting. While it won’t always be true, it’s an indication that the other main aspects of the mod such as gameplay, have also received enough dedication and tweaking to make it as polished and perfect as possible. 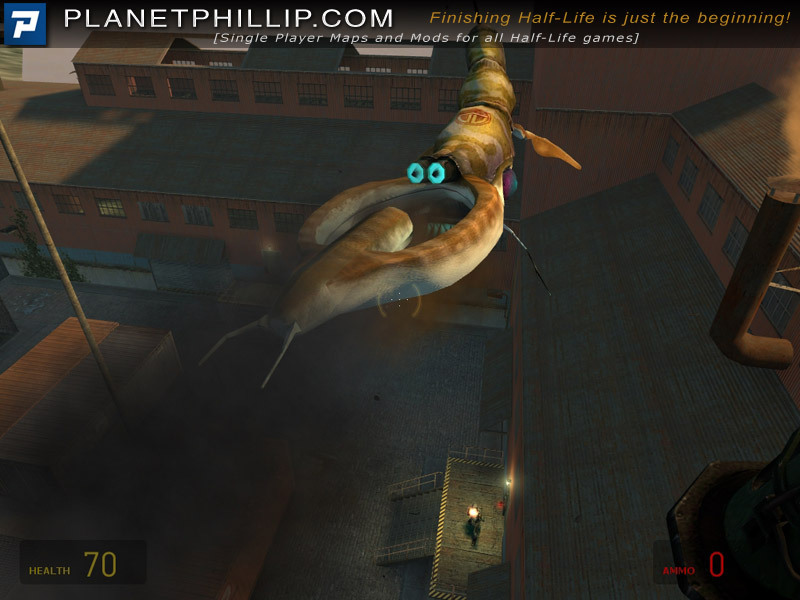 Best HL2 Mod Ever! Yes, it was quick, but full of action and enjoyment, good for when I don’t have a lot of time to kill, and have to maximize killing zombies and combine soldiers. I’ve played more than 2 dozen mods so far, and this is the first one where I did not encounter a single bug. Way ta go kyouryuu! This has to be one of the best mods I’ve played. Smooth gameplay, loved every minute of it. The only thing I noticed was some of your music selections didn’t fit in some places. I played through a little fast and once a track ended another one would play directly after it. Sounded a bit weird. But besides those things, nice level design, nice detail. Good, very good, if a little short…I did have a couple of the outdoor areas where the framerate dropped a bit, but otherwise a very nicely put together mod. The ending suggested, I hope, that there may be another in the pipeline? 🙂 yes indeed ive played through this twice & enjoyed it each & everytime. I did make alot barricades outa almost everything not nailed down with the Ggun. a good 17 to 20 minutes of gameplay with small breaks inbetween health & ammo & armor all in the right places without being too much. Level of difficulty is Normal later il try Hard but I believe that be fun just the same. Level design & lighting are dead-on not overly dark or blinding details are well rendered & I didnt have any framerate problems running this map on a screen resolution of 1152 x 1074. I can see some secrets & minor changes could be made although its not really need just a end cutscene or a Be Continued signature A nice refreshing Map in the Episode 2 Territory a lot work has gone to make Players feel cool. To The Author we Salute you with 5 Stars. Awesome maps! Some of the best ones available! Very nice! Thanx, Gimba AKA kyouryuu! I generally prefer larger full fledged mods as opposed to short maps, but I have to say this is one of the better maps i’ve seen in a long time. Great job. Play it now!!! Yeah this was good, but not quite as good as I’d hoped after reading these comments. The main battle sequences were pretty much the same ones we’ve all seen a bunch of times before, and I know it’s common to reuse your areas to get more gameplay out of the same amount of work, but this took it a bit too far I think. You basically went forward through the map and then back through everything again. And it was quite short with an abrupt ending and no meaningful story, more like a vague setting. I also had framerate issues, which I never do. Anyway, that being said, it was fun, and impressive for the most part, despite not being too original. A good and enjoyable game and whilst it never gets over challenging it still as plenty of action to keep you on your toes. Set design and layout is well done with a good eye to detail and containing just enough action and content to keep your interest. The structured ending had the feel of being part 1 with more to come, let’s hope so. 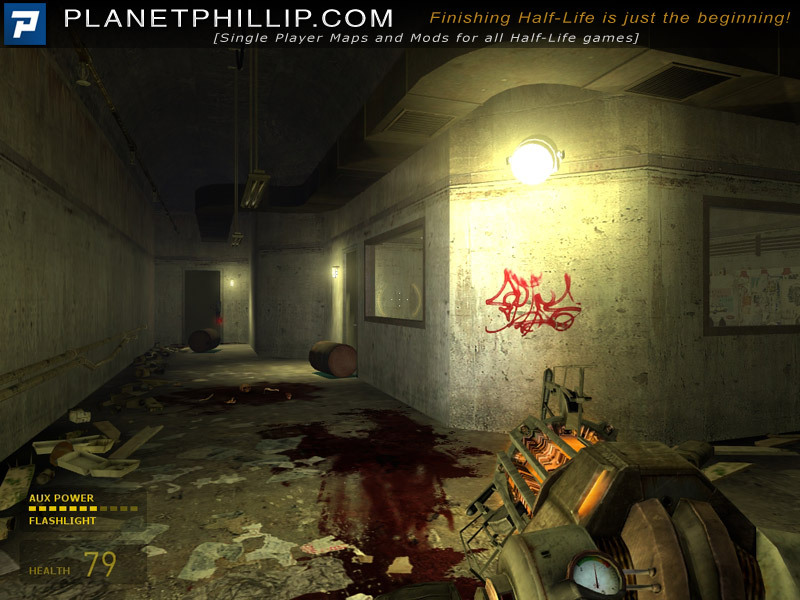 Definitely NOT the best HL2 mod ever made….it’s really only a map, way too short to qualify as a mod or map-pack. Minerva (Adam Foster, its author, has been hired by Valve), Rock24, Riot Act, etc. are contenders for the Best, but not this one. 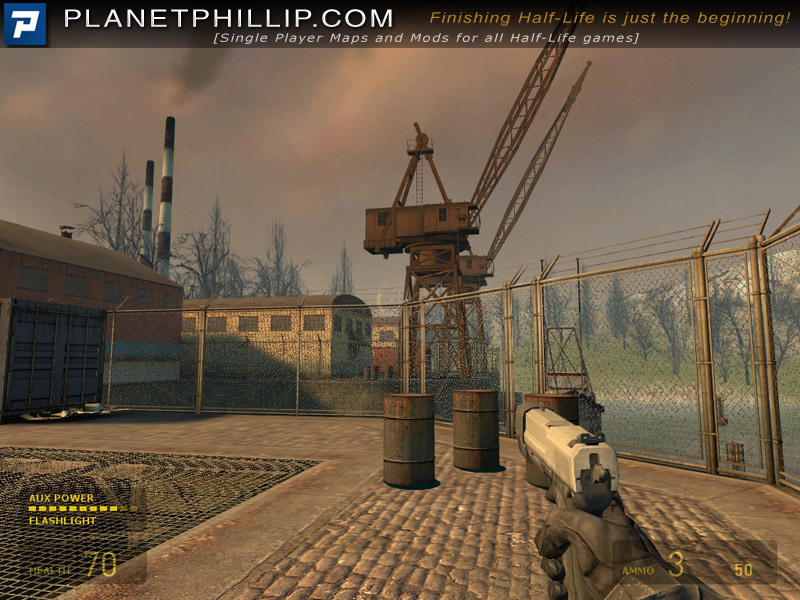 Granted, it’s a load of fun, with excellent balance, textures, layout design, and lots of other things we like to see in a map….in fact, it would’ve fit in really well as a map in HL2 itself. Anyway, Powerstation is an example of how a single map should be made. I would’ve given it 5 stars if it had included more maps like this one, but it’s just too short (about an hour of gameplay on Hard). Thanks for all of the feedback so far! I appreciate it. I haven’t decided what I’m going to do following this map, but I’m currently kicking some ideas around. Your feedback is very meaningful in determining how I will approach the next project. I really enjoyed this map. 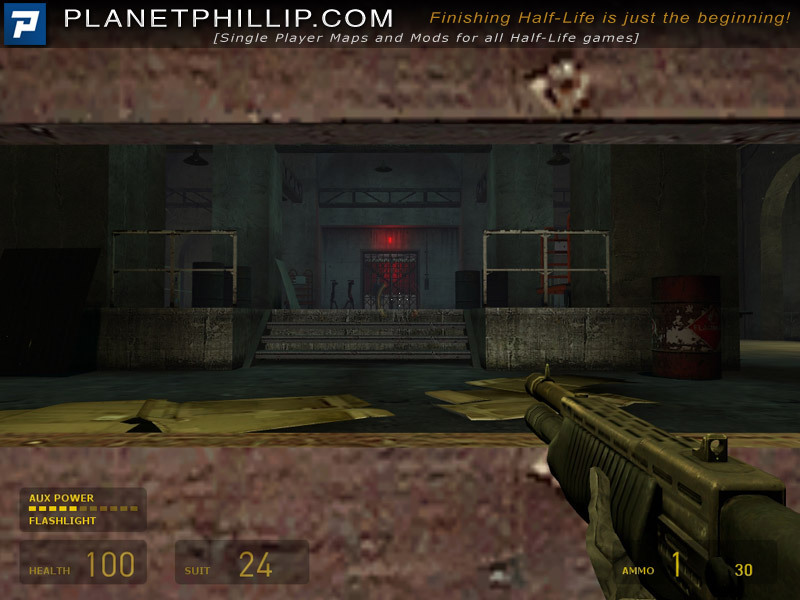 For a single map, it sure does offer a lot of gameplay, and the author is quite clearly very talented. The architecture and lighting are beautiful and genuinely interesting. The combat is perfectly balanced and not boring. The whole thing is a joy to play from start to finish. It’s a shame when it ends – I for one would certainly like to see more of this. There are some framerate issues in some of the areas of the map. Taking into account the sheer massive-ness of this one map (I wouldn’t be surprised if the author is touching on at least some of the engine limits!) it’s not too surprisinging that it could do with a bit more optimization. In many places my framerate was fine (over 100 steadily) but this was noticably inconsistent. I turned on the fps monitor when I first noticed jerkiness … and I found I was getting constantly under 20fps in some substantial areas of the map. Thankfully the combat in these areas wasn’t too heavy and so it didn’t really get in the way of the gameplay. 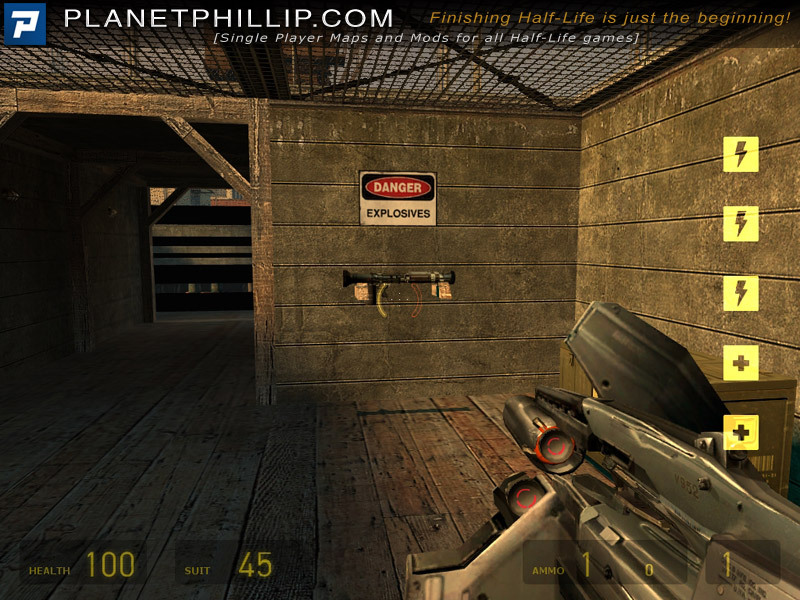 In other areas, there are dynamic lights being used and the Source Engine just isn’t very good at them. The generator that you destroy is an example (lovely piece of design by the way). 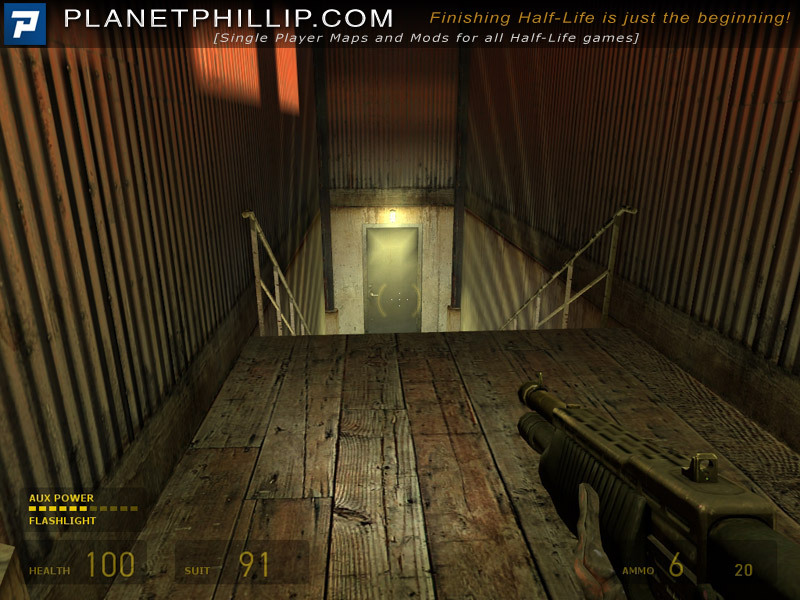 In that area the framerate is high, but with frequent low-fps spikes which are caused by the dynamic lighting flicking on and off. I find this creates an even more noticable type of jerkiness in the game. I enjoyed it.Too short for my liking but it’s well done none the less. Well worth your 25 min. nice pace all along of this map and the action is just really constant. I loved this map and recommend it. 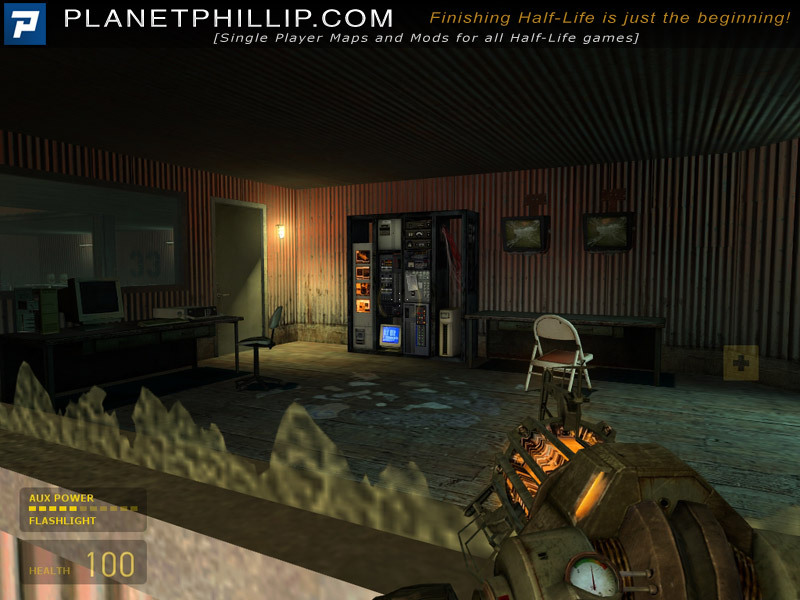 At one point I almost felt like I was playing an official expansion for HL2 its just too bad that it’s so short.I’ll be looking forward of any new maps these guys make. good job and thank you. Quite well-done mod, with a professional look throughout. I found the end somewhat unsatisfying, though, but I guess that’s because there was no story, no objective. 1. Areas were a little too symmetrical for my liking. 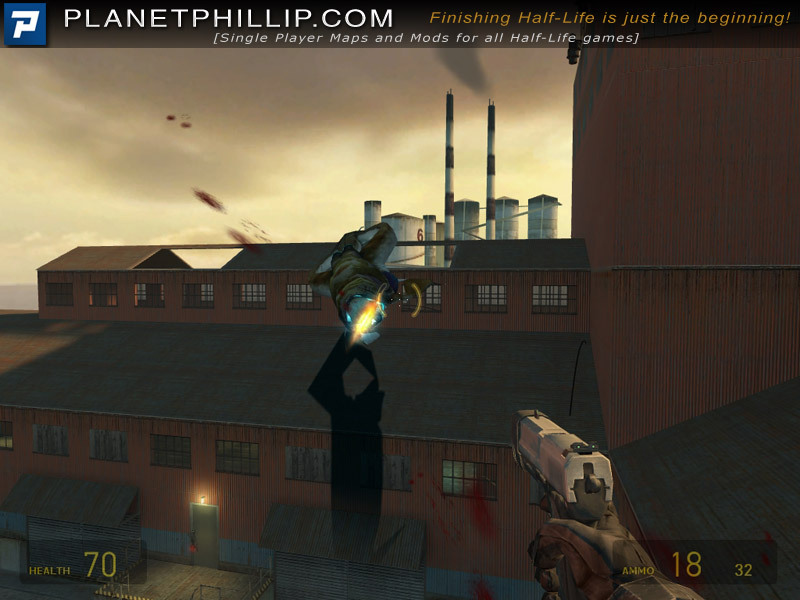 They could have been altered to make them a little bit more interesting, particularly the Combine-based areas which are usually pretty asymmetrical if you look at Valve’s stuff. 2. It was a little anti-climactic. The Gunship fight was fun and well designed but I found the fade to black a little boring. How did I escape? Even allowing me to jump on to a boat (or airboat) and speed away would have been fun. 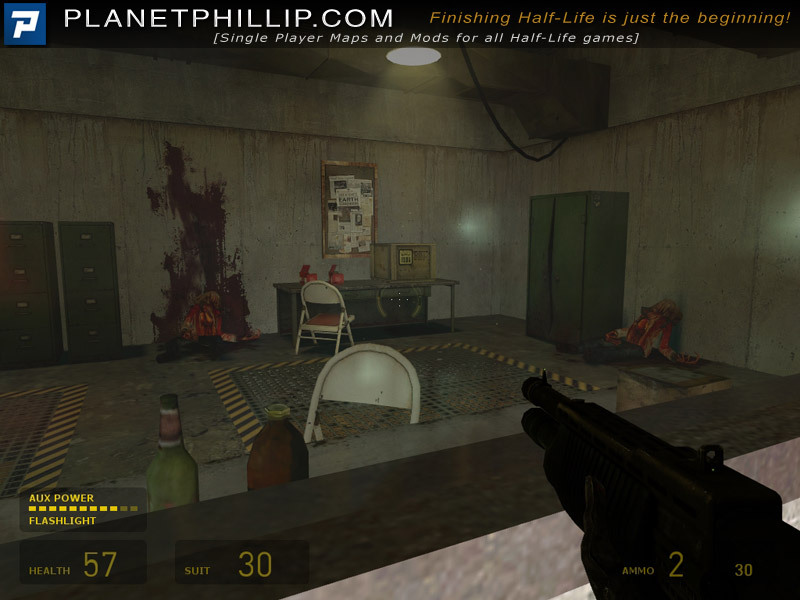 Its not often you come across HL2 sp maps with this quality and effort put to it. I think the map looks stunning. Great, original design. Great gameplay, one of the best sp mods/maps out there! Nice and enjoyable. The game play is great, nice to see the crowbar. Play it and enjoy it. The graphics are amazing. I would have lvoe to see the crane in action. I liked the way I retrieved the rocket launcher to kill the gun ship. It worth playing this mod. Tricking a zombie into a barnacle’s path, using a single sawblade to cut multiple fast zombies, etc, it makes you think quickly and ends up being very satisfying. Metrocops are a bit out of place in the combat progression scale if you’ve just come out of the big zombie/headcrab fight, but it works nonetheless. I didn’t notice any flaws in the design besides some big prop shadows (I just hate how lazily Valve did the shadow outline for some static props like trash piles) which means that it was mostly perfect. Texturing, prop use, decals etc. Just another voice in the chorus of rants for this mod. Short, brutal, and very rewarding. The finale was a huge tactical challenge, but was a great finish nonetheless! Excellent mod marred only by the ending which left the whole thing feeling very unresolved. Great otherwise though. I just don’t understand what the fuss was all about. I thought everybody LOVED a lengthy mod! And this being the highest rated mod I was expecting a long one. Even any mod. This is a map. I don’t get it. This may be the best fix, but certainly not the best mod. It has no story, no beginning, no end, no sense. Just run and gun, or hack, and a puzzle or two and little exploration. Oh, and a little backtracking, but which in this “mod” felt just like a way of saving map space. Yes, it’s bug free, yes it’s kinda like a map made by Valve, with small exceptions, but I was expecting a whole lot more from the highest rated (don’t get mad, Phil, I’m not saying your rating doesn’t work, because there are also the rec images, which state the same thing.. BTW, where did the rating system go? 🙁 ) and the very end was a bummer. Can’t give it more than a “Consider It”. Ade is right when speaking about lenght. I judged this a Play it Now based on what it actually is, a very well done map. But for me this wouldn’t be a contender for best mod because it doesn’t offer any of the elements I think make up a mod (considerable length, custom content, story explained and taking place ingame through characer interaction, brand new themes and locations etc). In a way, your recommendation image would really depend on what you’re recommending. For a single map, it’s ridiculous not to recommend this as it has quality all over it. For a mod, I agree this wouldn’t be my first pick. Speaking about the rating system, this is something I’m afraid will never get sorted out. A short mod with 2 good maps will usually rank higher than a mod that for example has 3 good maps and 4 average maps. 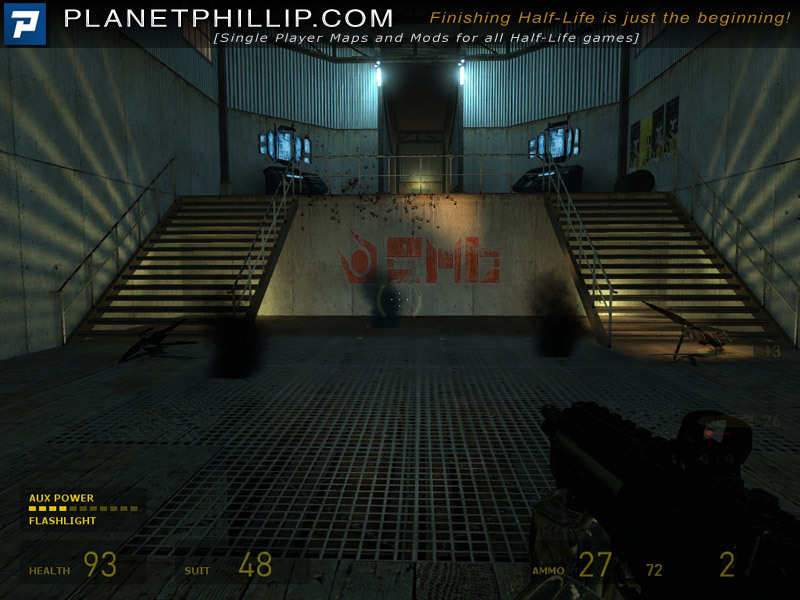 On the whole, the longer mod isn’t a perfect experience, but it might offer much more good than the 2 maps alone. And this does not reflect on the ratings unless players decided to take points away from length all the time, which would be unfair to the mapper to be honest. Everyone knows its much harder to keep a quality standard throughout 15 or 20 maps than it is doing so in 1 or 2. I’m not sure how that can ever be incorporated into ratings. I think someone should add the tag “short” to this excellent map to avoid more confussion. It was constantly being abused. I chose to remove it. The Recommendation images are better in my opinion. This has already been tagged with “Medium” because I had a simple guideline of times for each Playtime length, but of course I can’t find it now! DOH! Anyway, I think the points you both raise are valid, and I have discussed this many times before. I personally think that many readers” recommendation are partly based on the presumptions about the map/mod after they have seen all the other recommendation images. A few times in the past readers have complained that they didn’t enjoy a mod as much as they were expecting due to all the PIN! images. I seriouslt considered making the comments hidden from view by default to try and aviod this but I don’t think it’s possible. Sometimes a map or mod, as well as other things like books and moives, just can’t live up to all the expectations. Not gonna talk about about the rating system myself as I don’t like it either(5 is not a number to go by) but I found this mod to be lacking in length,story and reason to be considered.If this had maybe 2 or 3 more maps added it would get some serious attention. What I liked about this very well-made mod, is how smoothly it allows the player to be drawn into the game world in a transition that isn’t interrupted by nagging observations over such distracting details about how barrenly or poorly the environments were constructed, and I was not left with the feeling of a hurriedly contrived scenario as the story began to reveal itself. Personally, I very much felt that this mod had it all covered on all points. 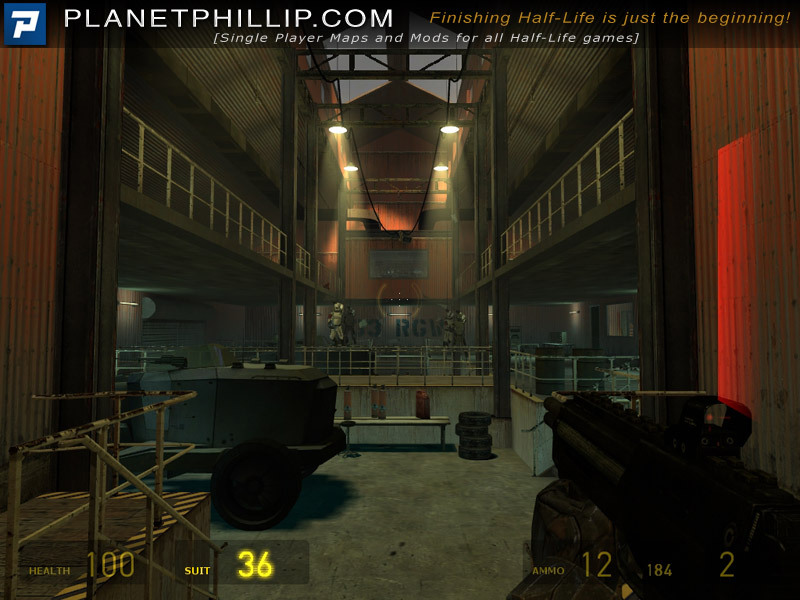 Nice big environments, indoor and outdoor play that allowed lots of personal choice in how to handle the combat situations, with a nice wide variety of combatants placed at appropriate points. The combat timeline itself, has a nice tempo going for it and doesn’t feel like over-kill, nor did it leave me wishing for “something to do”. There is always “something to do” here, and I found myself looking forward to each upcoming area, both for its solution as to how to best handle the problem and wondering what he had planned for me next. Not once did I get the feeling of it being ” predictable” or amateurish in tempo. I also liked the fact that it felt like there was a purpose that was leading somewhere. For me, that part is very important. 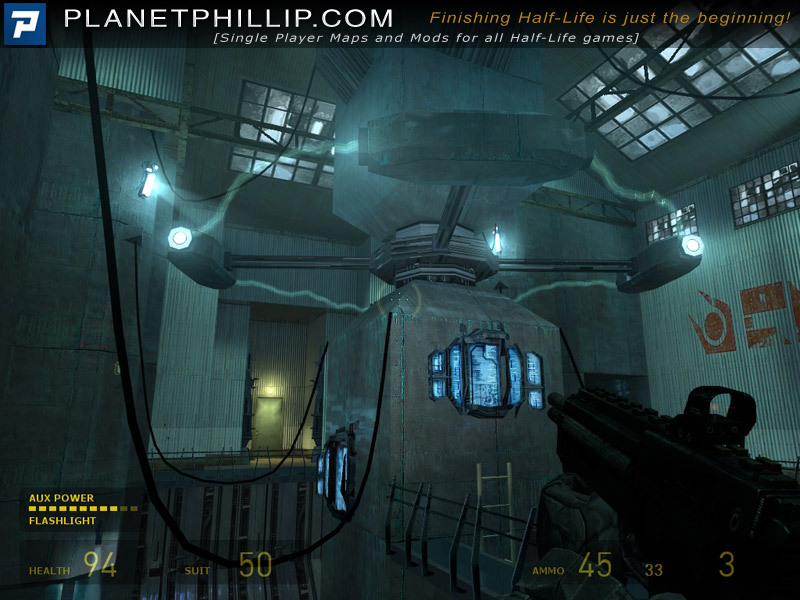 The reason I fell in love with Half-Life to begin with, was for its story, not just because I got to shoot stuff. This mod gave me the impression that it actually had a purpose which I was working toward within the story, not just ” yet another zombie” thrown at me in meaningless mayhem to keep me busy. The expert use of lighting and textures is very much what enables that smooth transition of being drawn from reality into the game world. You never find yourself just floundering about in a darkness that just cheaply hides a poorly made environment. The playing areas are all clearly defined and appropriately-lit where it would normally be so, and the use of shadowing and darker areas doesn’t remotely seem ” forced” or accidentally defined in a harsh mish-mash of uncertainty. Excellent job there. The choice of textures are put to well-thought-out use in this mod. It isn’t simply a doubtful constant barrage of kaliedoscopic change where you felt as if the designer became compelled to throw the book at you simply to give you a false sense of a lot more going on than was actually so. 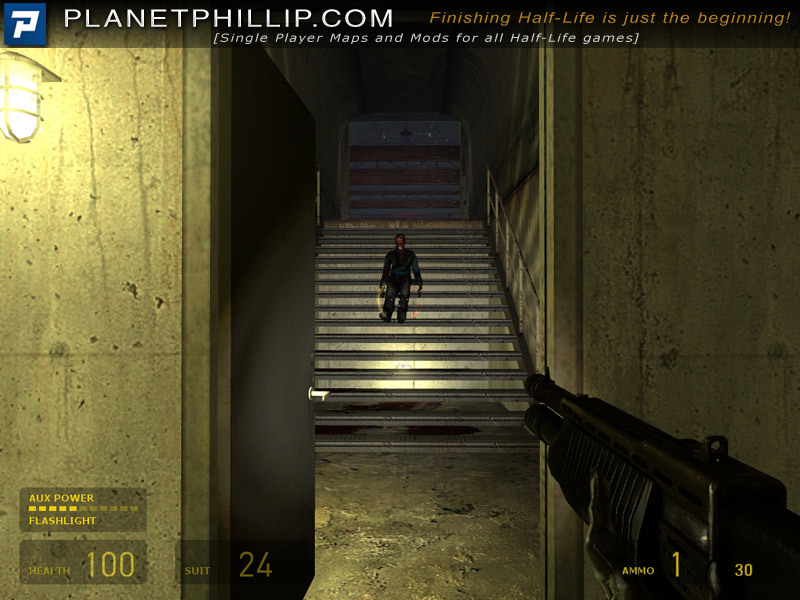 At the same time, it is never boring and repetitively unimaginative, – just believably varied, with well- placed changes to provide a convincing atmosphere, so that the player is easily able to immerse themself in the environments without a distracting thought of how “this or that feels out of place”. The technical work itself ran very smoothly. Thankfully. It absolutely drives me nuts when I get a game that freezes, or won’t save, or the AI shuts off, or gets me stuck behind a piece of construction, or delivers unusual frame-rates in a frenzy of poorly planned loading zones, etc. None of that here, I’m happy to say. If this mod does have one “down-side”, I would honestly have to say that it comes at the end. The combat scenario with the gunship almost feels ” hurried” in comparison to the rest of the mod. I mean, the area is still well made, etc, but it felt kind of “small” and hurriedly contrived, compared to the previous areas. 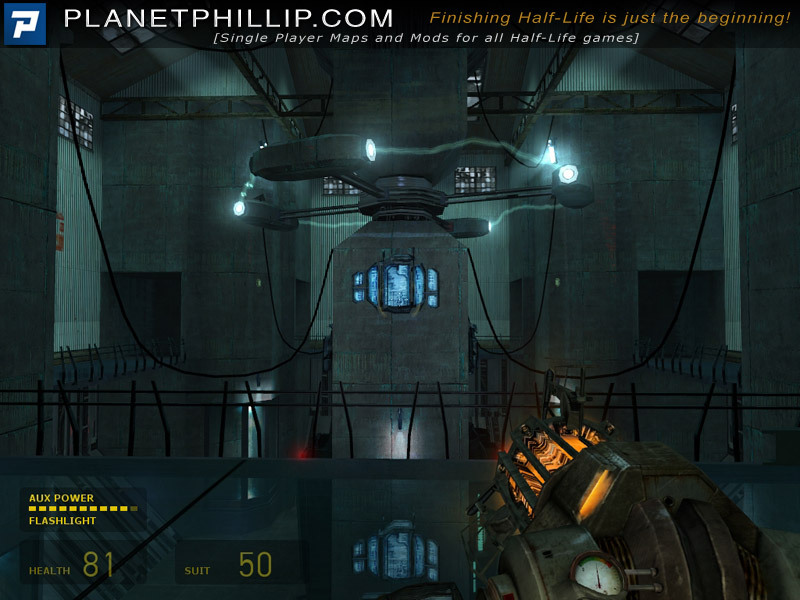 The battle with the gunship, itself, I suppose could be seen as “difficult”, simply because a soldier keeps coming to attack you as you’re trying to shoot down the gunship with the RPG and you sometimes have to keep changing weapons for the close quarters combat with the soldier, but ” difficult” isn’t necessarily ” fun”, nor “interestingly challenging”, in a way that makes you say: “Wow. That was just so hard to beat, but I absolutely loved it”. Here, unfortunately, it felt more like, “I have to give this mod an ending”. Sorry. Not intending to be mean, I loved this mod. Honest. I just wish I could have had a bit more of an expansive area to fight from at the end, and possibly more to do, like maybe a series of steps to complete which possibly arms “something” to aid the end destruction, etc., – instead ofjust being jammed under a little space that simply makes me easy to hit when I stick my head out. That kind of tactic always only leaves me feeling like the designer was just either too lazy, or afraid that I’ll beat all his hard work too easily, all because he didn’t take the time to think of a really nice finale” to all his hard work. And that is sad really. I think the ending should always act as a final compliment to that long labor love, since they are now saying goodbye and taking their bows to the applause. Why not leave them on a high note? Maybe it’s just me. But I feel as if an ending should be a ” project of its own” and it could have used some attention there. As it was, it is somewhat anti-climactic. But who knows. In fairness, maybe by that time, a person reaches a state of ” burn-out” after so much previous mental effort, that possibly one sometimes grasps at the seemingly easiest way to call it “finished”. Other than that, this mod sincerely impressed me on every other aspect of design and gameplay, and I am very eagerly looking forward to playing more of this highly talented person’s intriguing work. Excellent mod, overall. Good planning, execution, and attention to detail. The last battle was the toughest I’ve done in a while, sending in combine to jack with you while you’re trying to shoot down the gunship was a good call, it made me really work at it. After that, the end was a bit “meh”, perhaps a modification of the modification would give the author a chance to improve it?All in all, definitely a good cal to play this one. I’ve updated the post to include links to the video walkthroughs. Just gave this little gem a play and I have to say that I was really impressed overall. A highly polished piece that offered me nearly every thing I enjoy ( with exception to combat.I enjoy a bit more.) 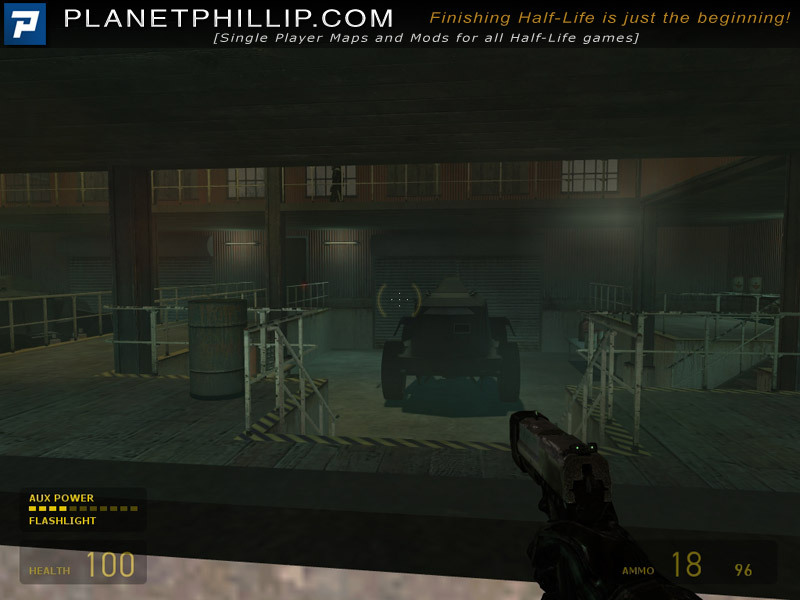 The mapping was very well done and I really appreciated the layouts of the environments. With all due respect to the developer, the last map was a tactical gamers dream and wonderfully challenging , but left me feeling a bit “blue-balled”. Might be the spot to continue another chapter though someday in the future. Don’t let comments regarding the ending deter you at all. It’s well worth the time. Terrific set pieces, where planning and blocking avenues of attack really paid off. That said the ending was a little disappointing–too sudden, and the helicopter attack was too pedestrian. This is one of the few mods that handles zombies well. Too often they can be handled with a crowbar by simply backing into an area where they can only come after you one at a time. The only way to make them interesting opponents is to have them come at you en masse, with no escape route so that you have to fight, and if you don’t take them on strategically you’re simply overwhelmed by superior numbers. No real surprises, and I think things were well placed. I would have liked if it were longer, but what there was to play was fun. I thought it would be like “Combine Destiny” — only ZOMBIES as enemies and constant crashes. Turned out nice. 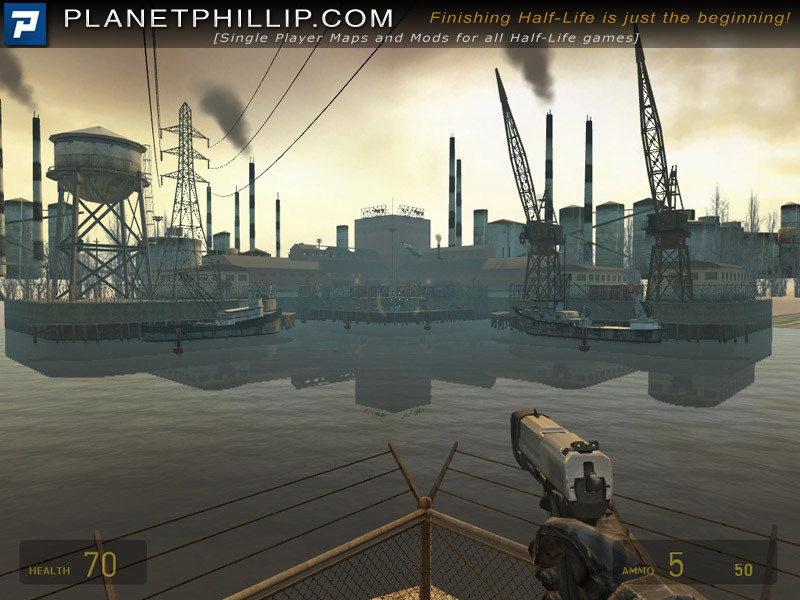 It gave me the feeling of playing Half-Life 2 again, I even got a fright in the area with the zombies in the water…:D.
I think there were too many physics props though, in the ambush area with the elevator, I killed most with the gravity gun, only the fast zombies with the shotgun. The gunship was too easy, though I didn’t find the RPG at first. Overall I give it a “PLAY IT NOW”. 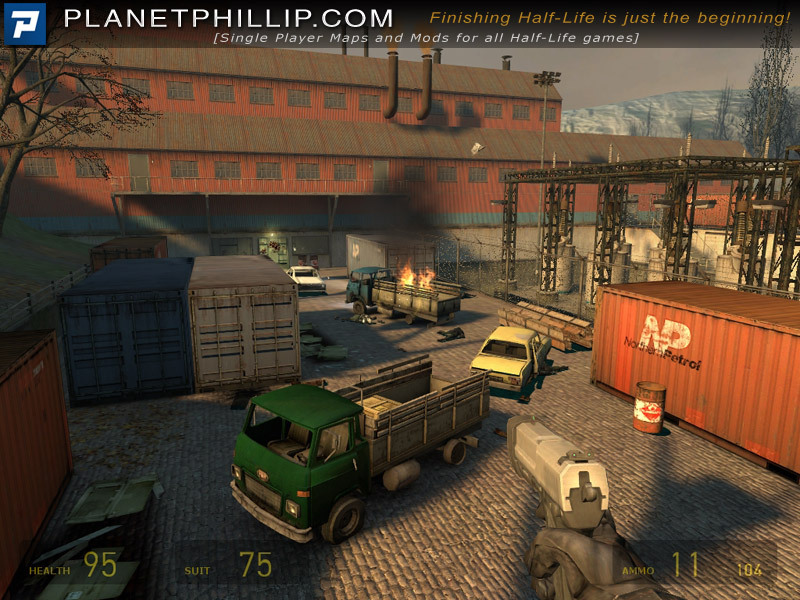 Anyone play Half-Life 2 Deathmatch? Contact me on steam: http://steamcommunity.com/id/nihalgonsalves :). I host a server also. Will tell you about it on steam if you like, its in India. Great – but a little too short. It’s short but swwwweeeeet!.. One of those games good to play when your waiting on your slowpoke wif to finish getting ready!..lol.. It will give you a run for your money and then some. You wanna pick a fight with the Combine, Crack Zombies and all your other favorites, This mod is for you! This was a very good one-map unit. 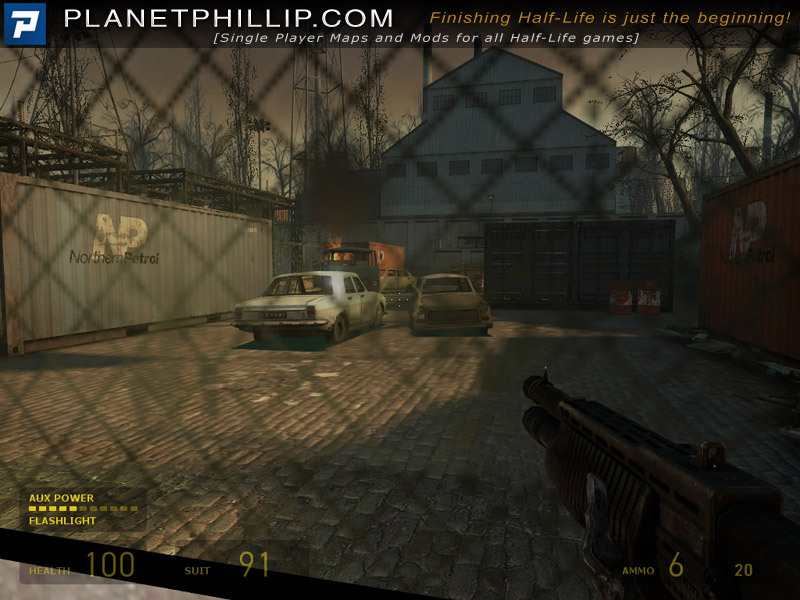 It represents perhaps the best use of the autumnish Half-Life 2 look. The reactor room was pretty cool; for some dumb reason I was expecting a human-style generator. My only complaint concerns music. You picked some good tracks but due to the short length of the unit (less than 20 minutes), there was some track going on at least half the time. Also, during the fight against the Gunship, I had to quickload which caused two tracks to play at the same time, which would persist even after quicksaving & loading. As the titles hit the screen, I could hear three tracks at the same time. The ending was also a bit of a letdown. You can get through it quite quick, yet throughtout that time it is very fun and looks good.As said by Dusty_Lions, short but sweet. Wow, this guy does pretty great maps, short but full of right action and great gameplay, that’s why I liked PW17, is defenetly a must play it, the only thing id” like to see from this modder is a longer mod, hope he’s working on it for the ep2 plataform, because sure it’ll be really good as this one, and sebastian his other master piece. pd, I forget put the recomendation img here’s the complete comment! A short mod, but still good. Didn’t exactly “wow” me with anything different or interesting but worth a go. The ending was also a bit unsatisfying for me. I have just received an email from somebody called ANDY. He is having trouble with this mod. I have installed it and played most of the way through without any issues. Can any PP reader help? 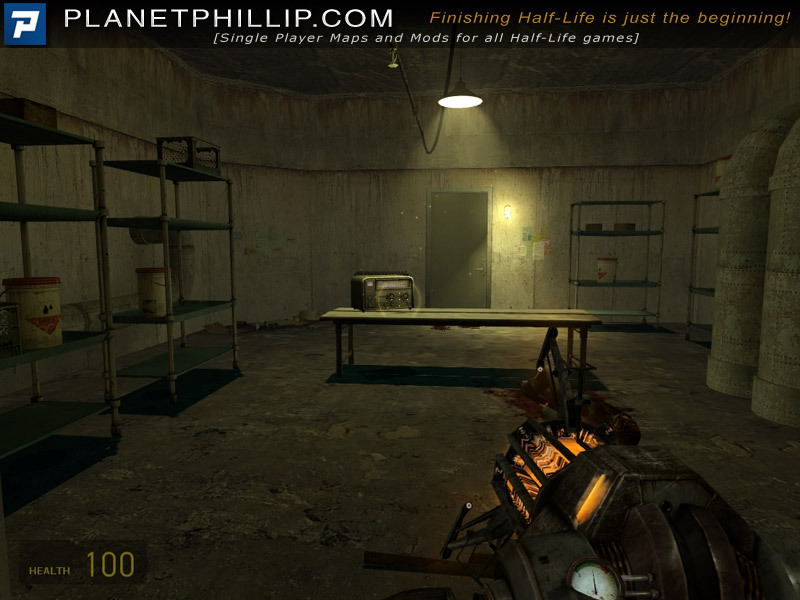 have placed mod (powerstation 17) in sourcemods folder and mod is now in Games list on steam. I clicked on the Games list short cut for the mod, the main console page and loaded the mod. I clicked on the “New Game ” button but it was not active, it was like the whole page was frozen I could not do anything except re-boot the computer to get out of it. Had a look at the Valve forum site for fixes to the mod, apparently no fixes were needed for this mod, but it didnt help my cause as to why the mod would not launch. The strange thing is….I could not get the mod to play until I changed the SteamAppID in the mod from 215 to 220. The mod will not play with SteamAppID 215 setting. So I thought I might have sorted the problem, the mod then loaded ok, but the mod crashes as soon as I fire a shot a couple of times in the first couple of minutes of playing the mod. I have recently downloaded Source SDK base 2006, it would seem I had to download it as to be able to play the mod, when I try to launch SDK base the console page loads but the whole page is not active, I can not click anything, and a message appears on top which says “node Graph out of date…rebuilding” but nothing happens, I have to boot out of it. Apparently SDK base 2006 is suppose to update itself when steam is launched the next time, I don’t know if it has. Are the issues related to the first proplem of the mod crashing all the time??? Please assist if you can, I don’t know what else I could do, I have tried most things as stated in the steam forum for the fixes but no joy. Replayed it today, this was a nice effect, weird how the config in the mod is set to “Easy” instead of Normal so I had time to look around. I encountered no issues while firing this up and playing, so I can’t help Andy out. Maybe half of his RAM burned down or something, either way he should check his specs and let us know if he can run other mods. 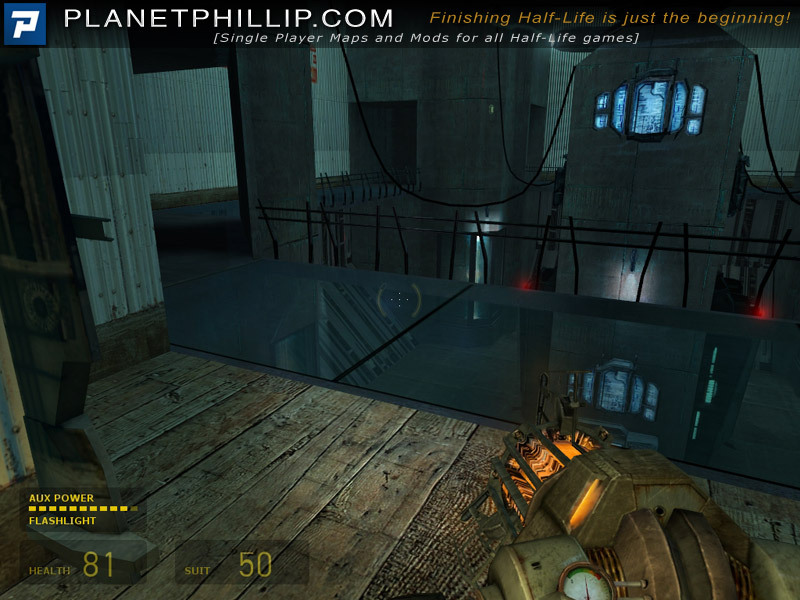 The planetphillip download for this mod is missing. I first saw this when I was looking at Phillip’s Recommendations and I have no idea why nobody but him has used Personal Favourite for it. I really enjoyed this small mod. I like how quickly it switched atmosphere. It went from dark and gloomy to bright and open air. The underground part with the zombies was alright. It was pretty fun using the Barnacles as traps. It’s not essential to do so but I think Jason set them up to be used that way. There’s a part kind of like the elevator waiting from Episode One except in a more confined area and less dark. It’s pretty fun but it could have used a bit more time before the elevator came. In my second half is where it really shines. You have to blow up a reactor. Getting to the reactor is easy but fun since you only have to fight Metrocops. Getting back is much tougher since they realized you’re a threat and sent in Combine Soldiers and Combine Elites. It’s fun fighting through them but I got a bit confused the first time around because I had no idea that the door would only open after I killed all the Combine. There’s a gunship battle which are always fun, and it takes place in a dock. If I were to nitpick I would point out two things. A – the beeping is annoying. B – It just ends suddenly. I would’ve put an escape sequence or something. But other than that it’s flawless. I highly recommend it. maybe I expected too much because this is in the hall of fame. Visually it was very basic. Level design was basic, encounter design was basic, pretty much everything was basic which makes it a solid map but not that good. I also didnt like the use of music, because there was too much and it changed too quickly. It’s not really worth playing if you are like me and want to play all the Hall of Fame maps, you can skip this, you won’t miss anything. 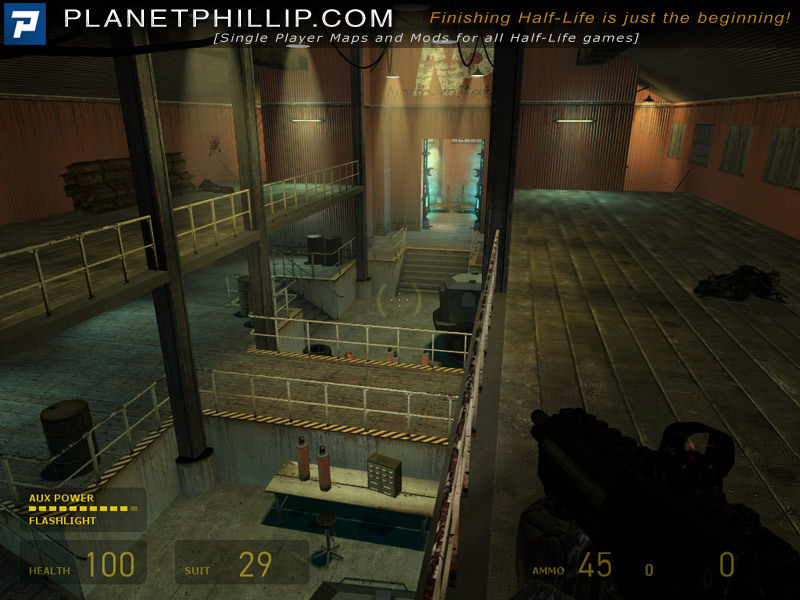 If you really want more Half-Life though, then this is a solid map. But I just want to emphasize again that I went in with high expectations because it is in the Hall of Fame. I think it’s worth remembering that this was made nearly 8 years ago and as a recent poll question discussed playing soemthing when it is first released and playing something much later there is often a big difference. You also mentioned that you had high expectations, that that also has an effect. Anyway, I’ll be interested to see what you think of the other mods. 8 years?? Wow. I should pay attention to that, I thought it was made 3 or 4 years ago or something for some reason. Still, when I review the mod now, I review it with today’s standards. The question I always ask myself when reviewing is “how much worth playing is this mod?” and if a mod is so old and “bad” because of that, then it isn’t worth playing. I should also add that I usually give lower scores than the other people, because imo the higher scores should be reserved for the REALLY good mods. btw I just watched the stream where Dan Jordan plays the map and I thought I was actually a bit too harsh to this map. I don’t know why I judged it like this. “Maybe” isn’t bad (my interpretation of “Maybe”), but I think the map deserves “Play it Later”. 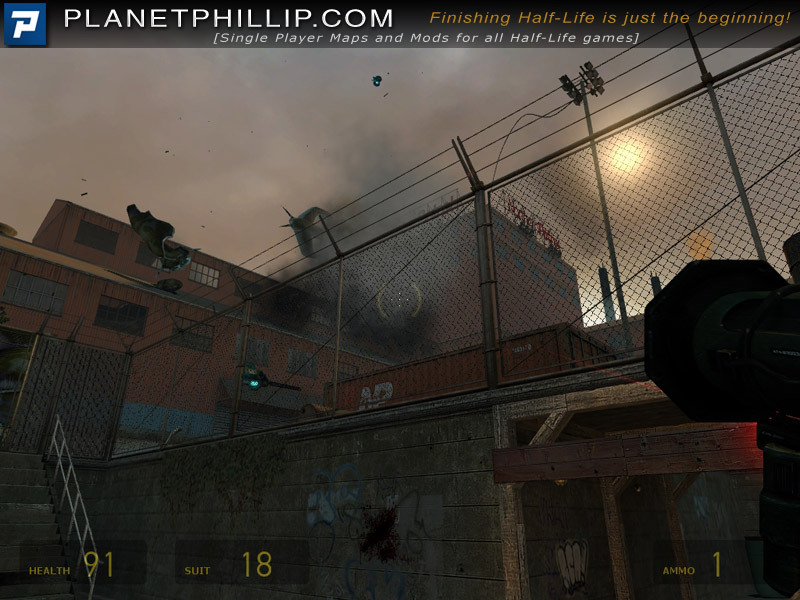 This mod plays well and with some Valve-like quality. It’s reminiscent of the HL2 Water Hazard locale where Freeman has to bust open a canal gate with a metal beam. The problem with this mod is that it’s super short. I can see other players completing it in 10-15 minutes. This Mod is a very short, very concise and very fun mod. 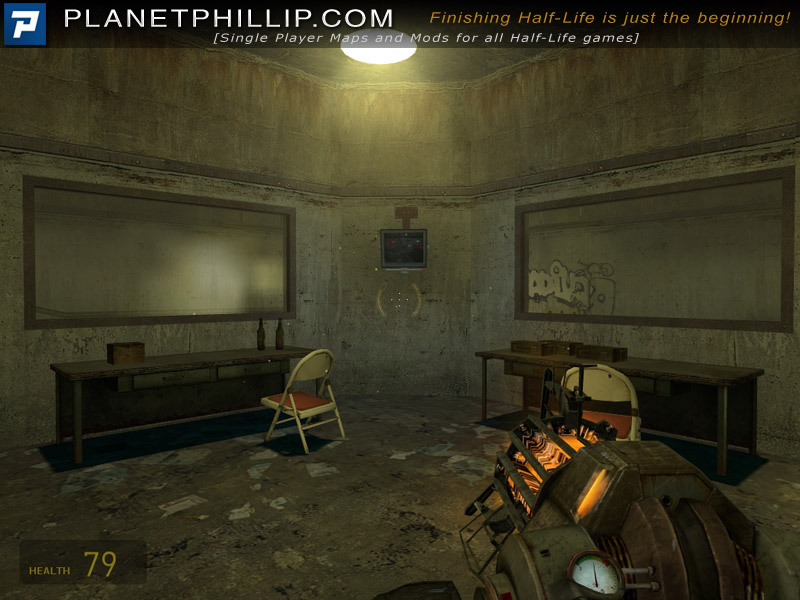 I highly recommend it to any who is fan of the aesthetics of the Water Hazard chapters of Half-life 2. And if that isn’t enough it’s a mod, so it’s free you automatically have to get. 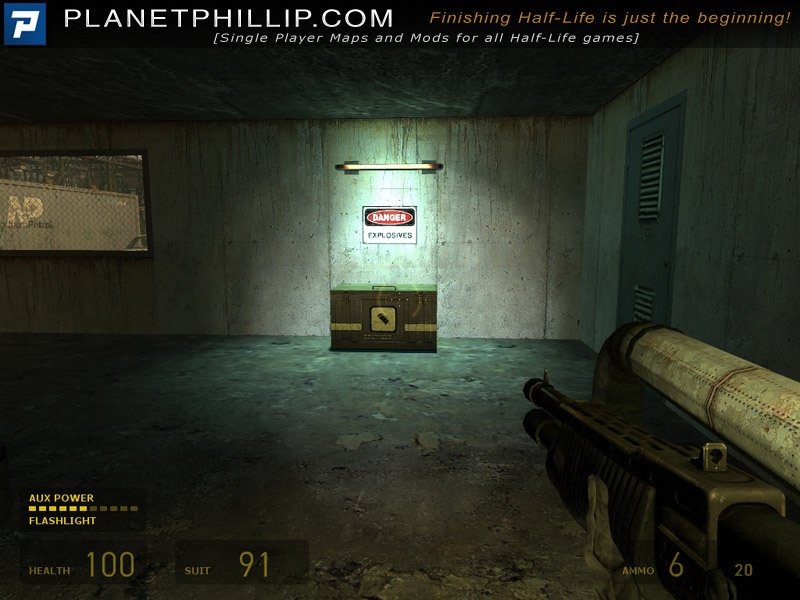 Classic “vanilla” HL2 mod with everything than can be expected to be in it. I’ve seen better and longer but still it’s good and entertaining, and has to be done to see some neat mapping. Just finished playing and found it to be a good one. I had to keep thinking throughout the play and looking ahead for the next anticipated step. Good game. Keep expanding it more.